Emerging Workforce Trends in Mining - Presentation to the National Academies. Select here to navigate to our news and business links area. Would you like to see other charts or information here? Contact Us. The MLD data set contains almost 86 thousand listings as of January 31, 2016. These include metal, industrial minerals, coal, and sand & gravel sites in the United States and its territories. The MLD data set contains new, active, intermittent, and abandoned sites. Most of the sites have status dates of 1950 to the present with a few reaching back into the 1920's. So the list, while large, is not guarenteed to be complete. There is a commercial version of the MLD and a version that is provided without charge in an Excel spreadsheet. The Excel version is derived from the commercial version and has the same number of records for each distribution but has fewer fields, limited process reports, and is made available on a 6 month basis. 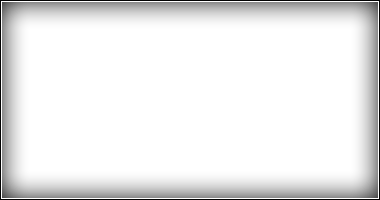 The commercial version is provided as a SQL database in the cloud or as a download depending on the type of use and license selected. Period-by-period changes, lists of new/deleted sites and reference tables are provided. 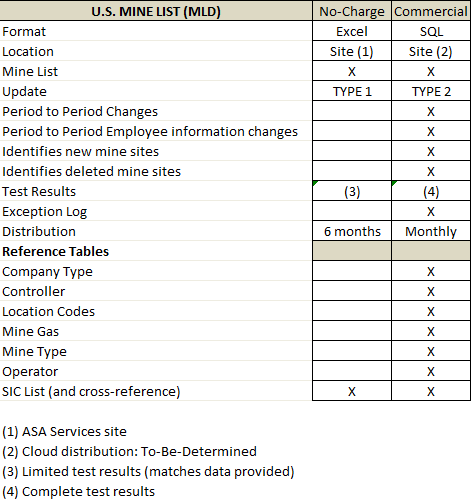 The commercial MLD is also structured to contain historic versions of mine site data (Type 2). A comparison of the two versions appears below. Note: By downloading the Excel version of the MLD you are agreeing to the 'use' constraints on the data. See the MLD documentation for constraints. A copy of the MLD documentation is also included in the download zip file. ASA has over 20 years experience delivering technology solutions to exploration, mining, and industrial construction companies. ASA understands the needs of the business and specializes in serving these industries. Be Good. Be Fast. Be First. Copyright (C) 2011. Automated Systems Alliance, Inc. All Rights Reserved.